Silk plants are a great alternative to using live foliage. They don’t require watering or light like natural plants, and you don’t ever have to worry about them withering and dying! However, as with anything sitting in the open, artificial silk plants will accumulate dust and dirt over time and will require cleaning to keep them looking bright and lively. Cleaning silk plants can be difficult. If you’ve ever tried it, you know it’s not always as simple as dusting the plant, or wiping it with a damp cloth. Because of the complex shapes and surfaces of artificial foliage, wiping the leaves with a cloth won’t reach all the nooks and crannies where dust can settle. And feather dusters are no better! You also want to be mindful of how much dust you’re stirring up into the air with these methods. This displaced dust will just end up somewhere else, whether it’s on you or on surrounding surfaces. Using a can of compressed air is more effective at removing dust from hard-to-reach areas, but still stirs up dust and won’t remove any built up grime on your silks. Some have even recommended using soap and water to clean silk plants, but this is very risky. You should never expose a hand-wrapped silk plant stem to soap and water if you can help it. This can dilute the glue particles and weaken the elasticity of the floral tape used to hold the plant together. Another popular method involves spraying a mixture of water and vinegar on the plants, but if your plants are hand-wrapped or hand-painted, the moisture and vinegar used in this technique could be harmful to your silk plants. There is however, a more reliable solution. 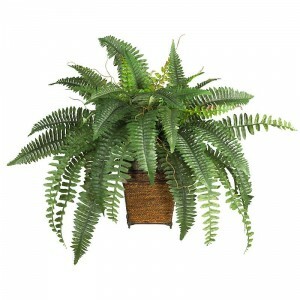 There is a silk plant cleaner that will lift dust, dirt and grease when sprayed on your artificial plants. It’s called Silk ReNu, and in addition to cleaning your silks, it contains a conditioning agent that helps relax rumpled silks , to restore their original beauty. Plus, its exclusive anti-static treatment repels dust to keep your silks cleaner for longer! And, take comfort in knowing that this silk plant cleaner is completely safe. Silk ReNu is non-flammable, non-toxic, bio-degradable, clear and odorless. The coconut derivative-based cleaning agent used in Silk ReNu is approved by the United States Department of Agriculture for use in food handling and preparation areas.